Hey everyone! Hope you all had a great weekend! We had a great one….loved every minute of it! 1. We gave Charlotte her first taste of custard and she loved it! 2. She also had Mac and Cheese for the first time and inhaled it. I couldn’t feed it to her fast enough. It was an awesome feeling because Ella (her big sis) doesn’t eat anything other than yogurt! 3. Enjoying the sun…looking cute, obvi! 4. Thought she was big enough for the cart at Target, but she looked so tiny! 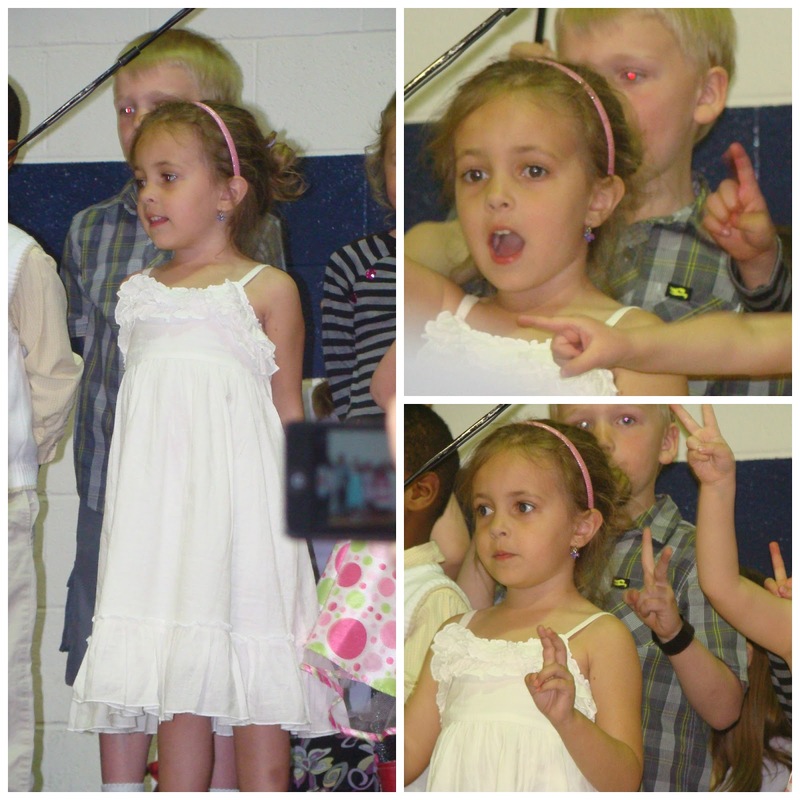 Ella had her spring choral concert at her preschool. She actually sang this year! Last year she just stood up there with her tongue hanging out while she played with her dress. We were so proud of her! 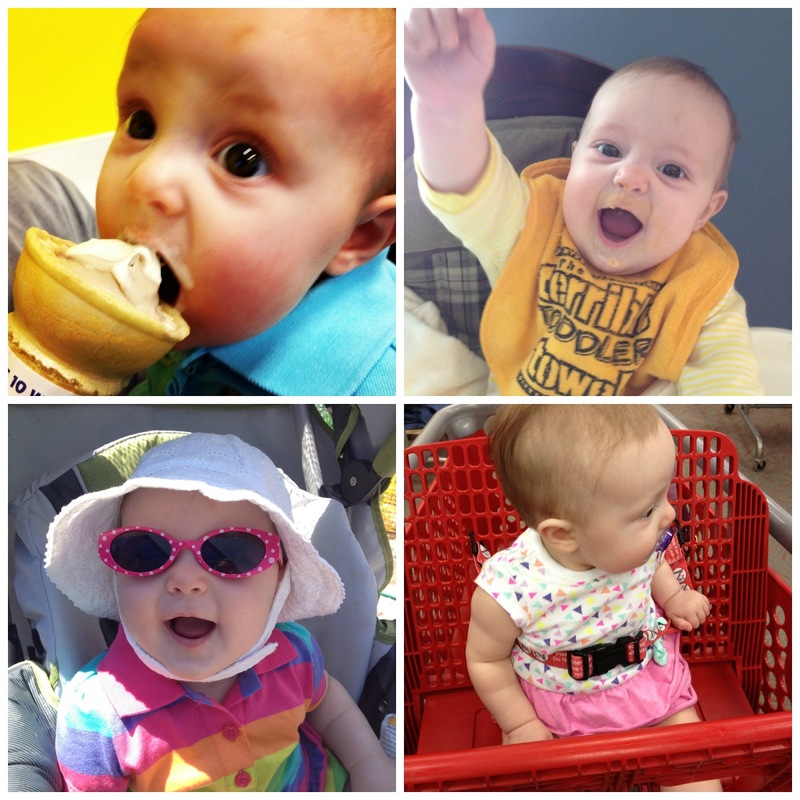 Can’t believe we register her for kindergarten on Friday…boooooo!! Ok now on to this coming week. I have some pretty exciting things to talk about! ~One piece swimsuits. I know. Hearing that makes me cringe too because I am SO not ready to be in a bathing suit, let along be thinking about one. But, rest assured, I found some great selections that I am thrilled to share with you all! ~I’ll be sharing a new opportunity that I have embarked on…super exciting! ~With people having vacay’s coming up I will be chatting about airport/airplane/travel fashion. You can travel in style and still be comfy! ~And don’t forget about this week’s edition of Hollywood to Housewife! On that note…have a great week everyone. I will see you back here tomorrow to talk swimsuits! Linking up today with Molly and Carly for YOLO and Sami for Weekend Shenanigans! Next Post My Dream Come True and an Announcement!